Wow. This game was everything I had hoped it would be. I heard rumors about how traumatic the plot was, but the rumors couldn't prepare me for what this game had to throw at me. It was a crazy descent into madness, and I'm glad I was able to beat this one. 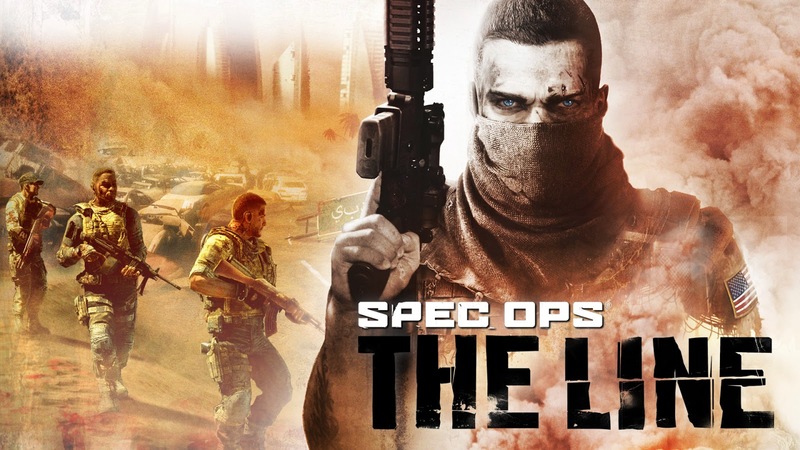 At first glance, Spec Ops: The Line appears to be a standard military 3rd person shooter with chest high walls. But the reality is that the game mechanics only serve as a vessel to push the story along. You won't find any innovation with the combat in this game. It is very generic 3rd person, cover based combat. However, that is not what makes Spec Ops: The Line unique. You start off your mission with the greatest intent. Dubai has suffered a massive climate shift leaving it to be barraged with massive sandstorms. Your job is to investigate what happened to an army battalion that was supposed to have evacuated the city, but has since gone silent. But things are terribly wrong in this desolated Dubai landscape. Bodies lay about, some executed, others tortured. There's a deranged radio DJ broadcasting propaganda and pointing wave after wave of enemy troops your way. You need to fight to survive and try and evacuate the city. But somewhere along the way, things got... bad. "I had no choice. I had to do what I did. It was them or me. They forced my hand." This is the type of justification you give for your actions. You go into battles with two squad-mates who slowly crumble under the weight of what they've seen and what their actions have wrought. Infighting, loss of trust, grudges, resentment. As the atrocities pile up, you and your squad slowly begin to lose track of what is right and wrong. Should your survive, are you really the same person you were coming into Dubai? Or are you just a broken shell of what you used to be. Haunted by your actions, trying to justify every order. You had no choice. You had to do what you had to do. It was either them or you. They forced your hand. Spec Ops took the military shooter story in a dark direction. One that many games would prefer to avoid. There is no fanfare. No glory in what you've done. Just guilt, regret, and death. God I need to play something cheerful now.